Vancouver Coastal Health is warning anyone who went to the Skookum Festival, visited Noodlebox Mount Pleasant or the Outdoor Community Block Party, or used public transit in Vancouver during specific times about a possible exposure to measles. 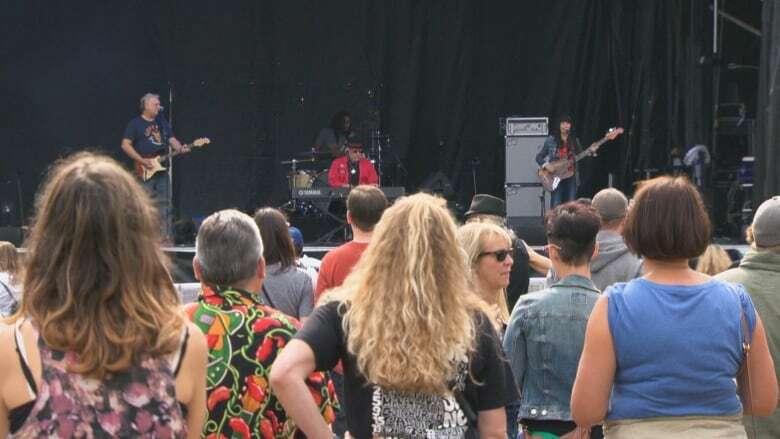 Vancouver Coastal Health is warning anyone who went to Skookum Festival last weekend, visited Noodlebox Mount Pleasant or an outdoor block party on Quebec Ave, about a possible exposure to measles. The warning also extends to people who used public transit during specific times recently. An individual who attended the festival has been confirmed to have measles, a highly infectious disease that is spread through the air. "The unfortunate thing about measles is that it can be infectious before people know that they're infected with it," said Dr. John Harding, a medical health officer with VCH. "This particular individual didn't know that they had come into contact with measles in the past, so unfortunately by the time we find out that it's measles, it's already been too late and some people have been exposed." People who are not fully immunized against measles, or who have never had the disease, are at risk of contracting the disease. If you were at any of the locations during the times listed below, and you have not been fully immunized with two doses of a measles vaccine such as the measles, mumps, rubella (MMR) vaccine, nor have had measles in the past, then you should see your doctor immediately. Skookum Festival, Stanley Park, 5 p.m. – 1 a.m.
Aquabus from Olympic Village to Hornby Street, approximate trip start was 3 p.m.
Canada Line SkyTrain from Vancouver City Centre to Broadway-City Hall Station, 11 p.m. – 1 a.m. Outdoor Community Block Party at 1188 Quebec Street, 1 p.m. – 3 p.m.
Main Street bus from Terminal Station to Broadway, 3 p.m. – 5 p.m.
Noodlebox Mount Pleasant (2511 Main Street) – Noon – 6 p.m.
VCH said measles can stay active in the airspace for two hours after an infected individual has left a location. Anyone who may have contracted measles from this exposure on the dates listed above would begin developing these symptoms between Sept. 15 and Sept. 29. If you think you have been exposed and are not immune to measles, you should get immunized within six days of exposure to prevent getting the disease. Most people in B.C. are immune to measles because they've had two doses of the MMR vaccine or they've had the illness in the past. If you were born before January 1, 1970, you are likely to be immune. If you were born between 1970 and 1994, or grew up outside of B.C., you may have received only one dose of the MMR vaccine and require a second dose to be fully protected. You can get the vaccine for free at your doctor's office, your pharmacist, or local community health centre (for adults and kids over five). Infants under one year of age, pregnant women, and people with immune problems should not get the MMR vaccine and instead immediately consult their doctor or call Vancouver Coastal Health, Public Health, at 604-675-3900. People who develop symptoms should see a doctor, and ensure that they call the doctor's office before going, so precautions can be taken to protect other patients. People with symptoms should also report their illness to VCH Public Health at 604-675-3900.